Our goal is to keep your drinking water safe. We pride ourselves on educating you, the water customer, on how to reduce the risk of inadvertently contaminating your private or the public water supply. Check with your local city for details and list of local testers. 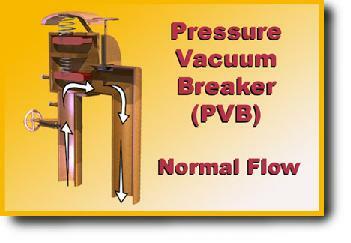 The AVB is always placed downstream from all shut-off valves. 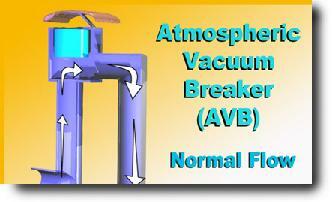 Its air inlet valve closes when the water flows in the normal direction. 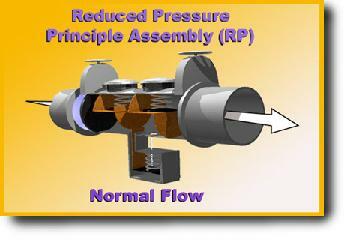 But, as water ceases to flow the airinlet valve opens, thus interrupting the possible backsiphonage effect. If piping or a hose is attached to this assembly and run to a point of higher elevation, the backpressure will keep the air inlet valve closed because of the pressure created by the elevation of water. Hence, it would not provide the intended protection. Therefore, this type of assembly must always be installed at least six (6) inches above all down stream piping and outlets. 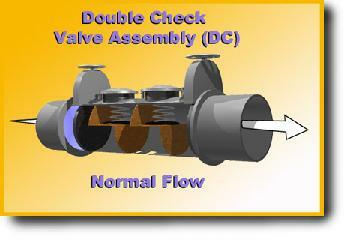 Additionally, this assembly may not have shut-off valves or obstructions downstream. A shut-off valve would keep the assembly under pressure and allow the air inlet valve (or float check) to seal against the air inlet port, thus causing the assembly to act as an elbow, not a backflow preventer. The AVB may not be under continuous pressure for this same reason. An AVB must not be used for more than twelve (12) out of any twenty-four (24) hour period. It may be used to protect against either a pollutant or a contaminant, but may only be used to protect against a backsiphonage condition. 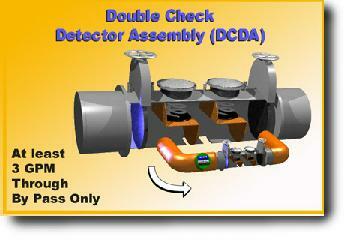 The DCDA is composed of a line-sized double check valve assembly with a specific bypass meter and meter-sized double check valve assembly. 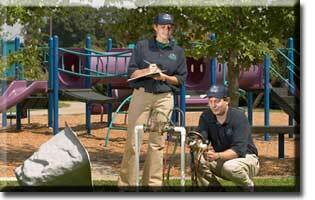 The meter registers accurately for very low flow rates to detect any unauthorized use of water. This assembly is used when the protection of a double check valve assembly is required, yet where the added requirement of detecting any leakage or unauthorized use of water exists. Normally these assemblies are reserved for use on fire sprinkler lines.